If you need to take a nap every day, or travel regularly, you will need a high quality neck travel pillow to support neck to make you have a comfortable sleep. 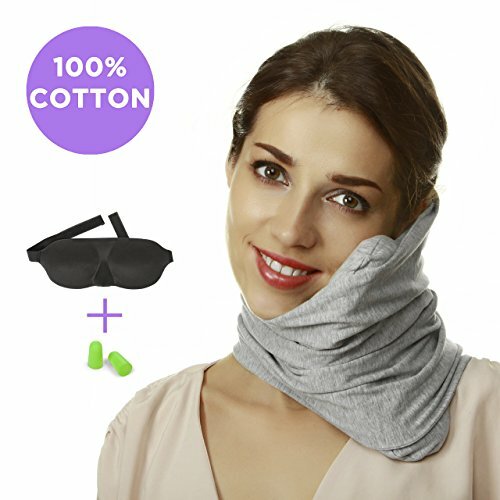 Travel neck pillow by Prokitline made of 100% breathable cotton neck pillow with cool effect and is going to become an irreplaceable accessory in your office or during your trip! LIFETIME WARRANTY: We are confident in perfect quality of our pillow. If you are not satisfied with it, we will refund you immediately any time without any questions! If you have any questions about this product by Prokitline, contact us by completing and submitting the form below. If you are looking for a specif part number, please include it with your message.